Style meets function in this beech wood covered shave bowl. 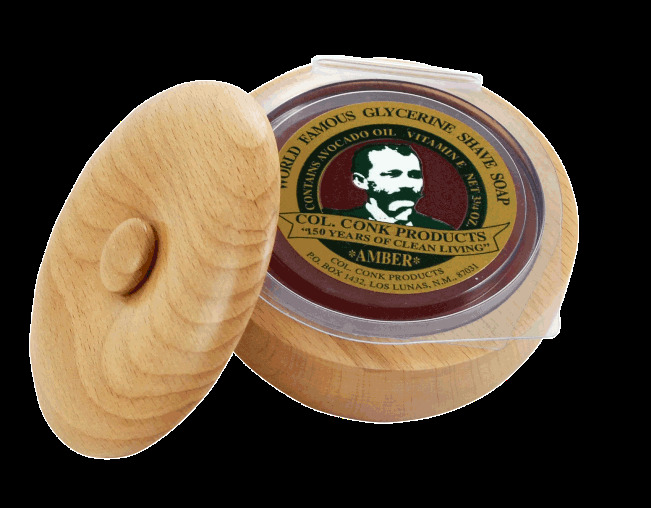 The natural grain of the European beech wood wraps around the curves of the shave bowl.. The lid keeps your soap out of sight until you are ready to use it. Col. Conk 3 3/4 oz. shave soap included (scents will vary). Boxed.